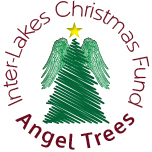 The Inter-Lakes Christmas Fund is a non-profit organization that accommodates families who need assistance during the holiday season. Through generous donations and sponsors we are able to provide a joyous holiday season for qualified applicants by providing food, clothing, Christmas trees and gifts. Our organization is maintained and operated by volunteers in our community. We have long term partner relationships with the Meredith Police Department, as well as, the finest youth groups, churches, schools, civic organizations and businesses in the Lakes Region. There are many ways members of our community can get involved with our charity. If you would like to receive more information about our organization, please subscribe to our email list. Protecting the anonymity and privacy of our families we serve is paramount. Your donation is appreciated immeasurably. Like all great causes, the number of those in need tend to out number the resources that are required. When you donate to the ILCF, you can know that 100% of the funds raised are applied towards the children of the Lakes Region who are in need during the holidays. Every dollar makes a difference and every donation is tax deductible. Making a donation is safe, simple and seasonally satisfying. Click the button to help bring joy to a child’s Christmas. Celebrate the “reason for the season” at your Church, organization or place of work by participating in our Angel Tree program. Angel Trees have the names of children and their wish lists. Members or co-workers can pull a name(s) off of the Angel Tree and bring a child’s Christmas wish to life. If you are interested in receiving more information about setting up an Angel Tree. Please email us by clicking the button below. A beautiful way for people to get involved is to Adopt A Family. 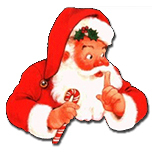 We share the wish list of a child in need and you play the role of santa. We respect the privacy of our applicants, so we don’t exchange personal information, but you can take a single child or an entire family and share the spirit of Christmas by generously fulfilling their wish list items. You can make an adoption request by age, gender, or a blind draw. No matter how you decide to choose a family, you can know that every item you provide is delivered specifically to your adopted child. For more information about our Adopt A Family options, please email us by clicking the link below.